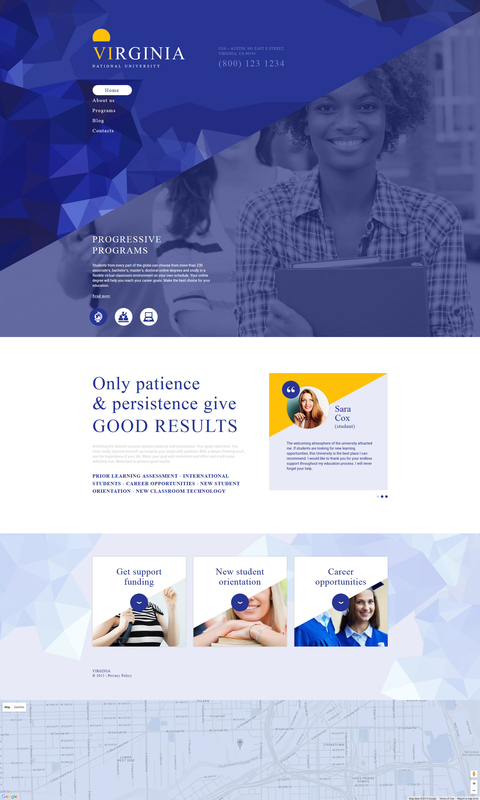 Short description: This modern Education Drupal Template is meant for effective web promotion of any educational institution. The first thing that catches the eye is the color scheme. It was designed in white and purple tones that make it rather interesting and unique. The second thing that attracts attention is a non-standard placement of elements at the top of the page. The responsive layout allows the site to perform properly on any device, so smartphone users won't have troubles browsing your web page. Moreover, there will be no difficulties when customizing this SEO-optimized template due to the intuitive admin panel and advanced theme options . A whole bunch of additional Drupal modules will also come in handy. In addition, at the bottom there is a Google map , which will help your site visitors locate your university.